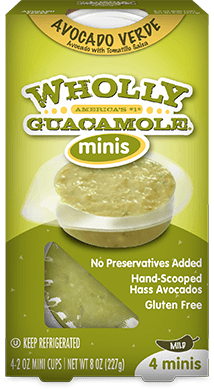 It’s smooth and creamy hand-scooped Hass avocado with tart and tangy tomatillos all packed into a tiny, delicious container. Great things do come in small packages. Hass Avocados, Tomatillos, Onions, Jalapeño Peppers, Contains 2% or Less of Cilantro, Garlic, Salt. Put a new spin on classic chicken strips with a crispy outside made from pita chips. 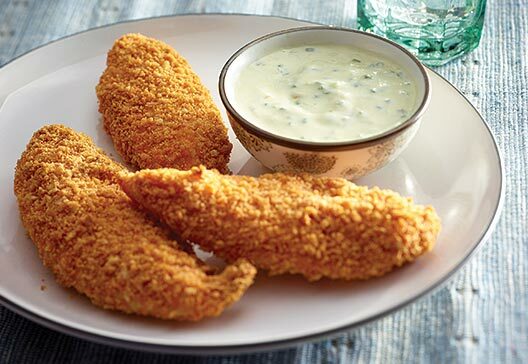 It’s the perfect recipe to make chicken tenders from scratch, with an irresistible dipping sauce everyone will love.